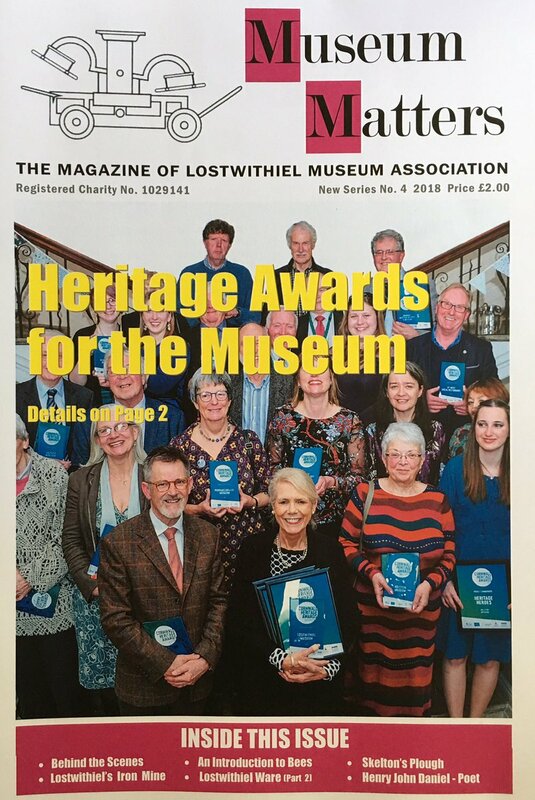 The in-house magazine, Museum Matters, is now being circulated to members of Lostwithiel Museum Association who automatically receive a free copy. Additional copies are on sale in the museum for £2. The current issue features articles on: The Cornwall Heritage Awards; The Restormel Royal Iron Mine; Lostwithiel Ware: 600 Years of Pottery; Henry John Daniel, Cornish Poet; Skelton's ''Reversible Plough;'' & An Introduction to Bees. If you have an idea for an article or would like to contribute in any other way please contact Peter Best on 01208 872303.